Because your patients' lives happen on‑screen & off. 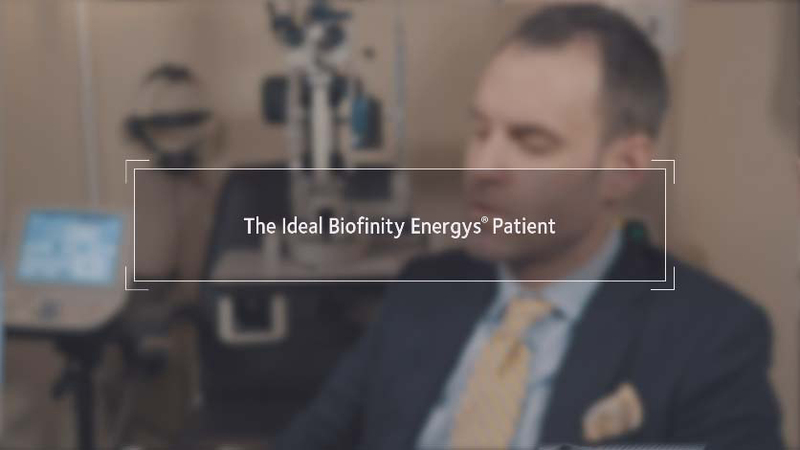 Biofinity Energys® represents a significant breakthrough for sphere wearers with contact lens innovation that addresses today’s digital lifestyles head on. 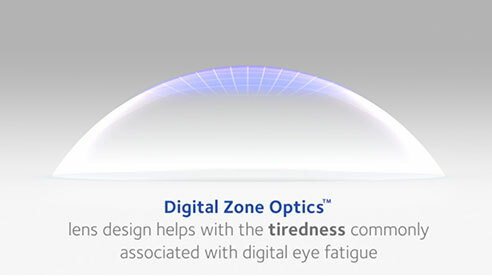 Together Digital Zone Optics® lens design and Aquaform® Technology help with eye tiredness and dryness associated with digital device use. Digital device use is prevalent across all age groups and many are experiencing dry, tired eyes. 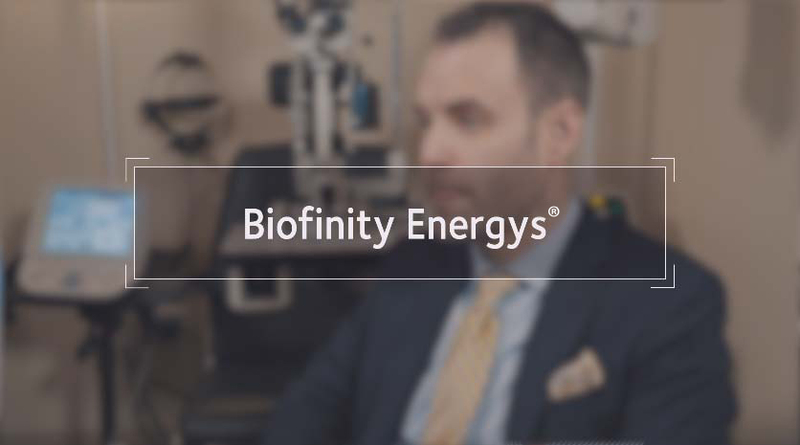 See how digital devices are changing the eye care industry. This video takes a closer look at the problem. Patients don't always know the symptoms they're experiencing aren't normal. Or that there's an innovative contact lens that may help. 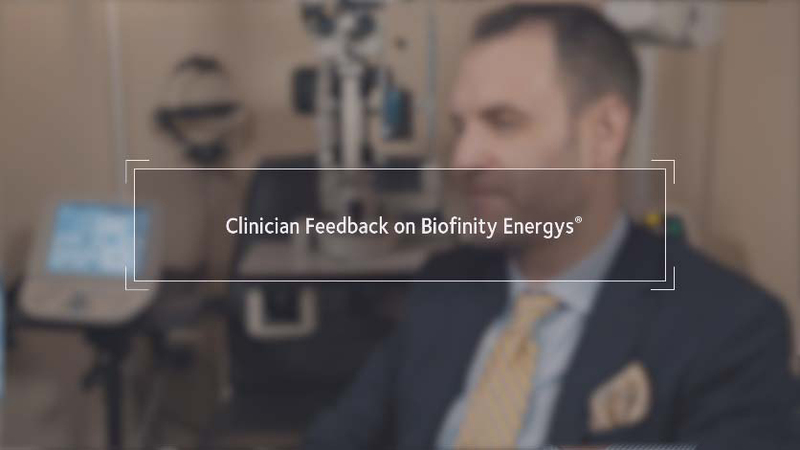 Hear who your peers are fitting in Biofinity Energys and how they talk about this breakthrough lens. 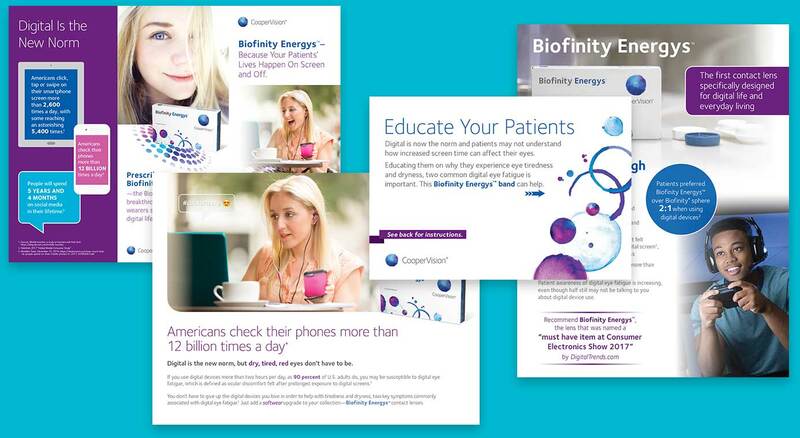 Breakthrough innovation designed for your patients’ digital lifestyles. Aquaform® Technology creates an optimized balance of high oxygen permeability, good water content and optimum modulus providing increased breathability and moisture. Digital device users blink less frequently while looking at a screen, resulting in changes to the tear film. 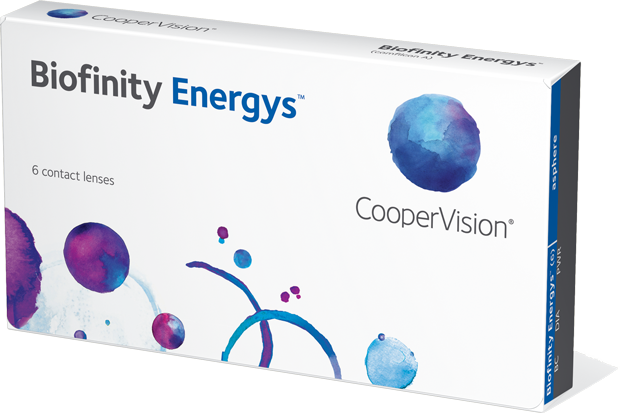 Aquaform® Technology helps with eye dryness associated with digital device use. 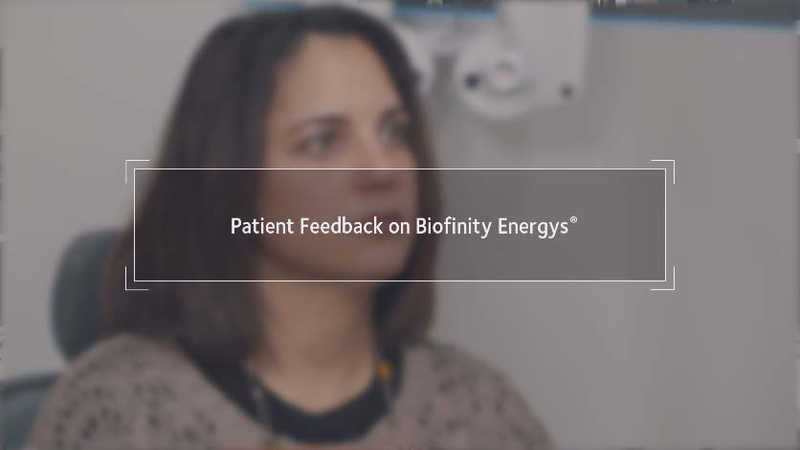 Peers and patients agree on the proven performance of Biofinity Energys. Hear from an expert—and benefit from the results. 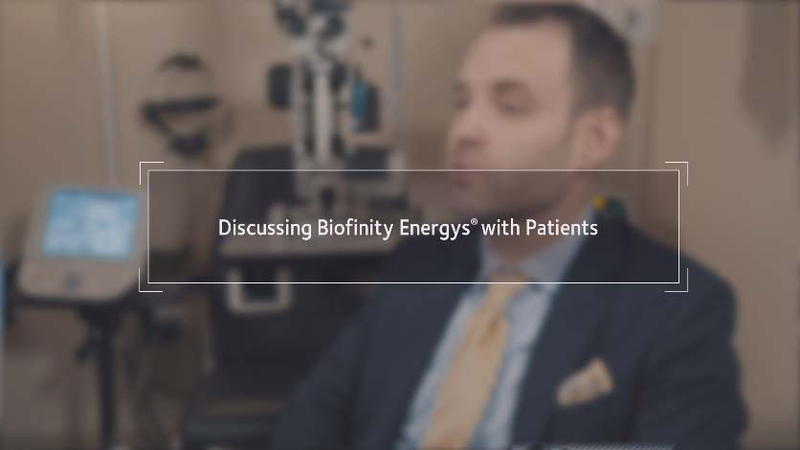 CooperVision® had a conversation with Andrew Neukirch, OD, about this own experience prescribing Biofinity Energys to patients. 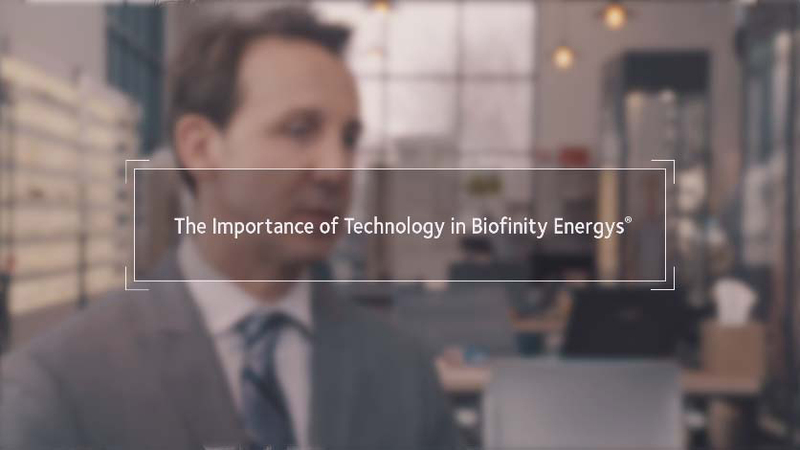 Watch and learn why he’s making Biofinity Energys his lens of choice. 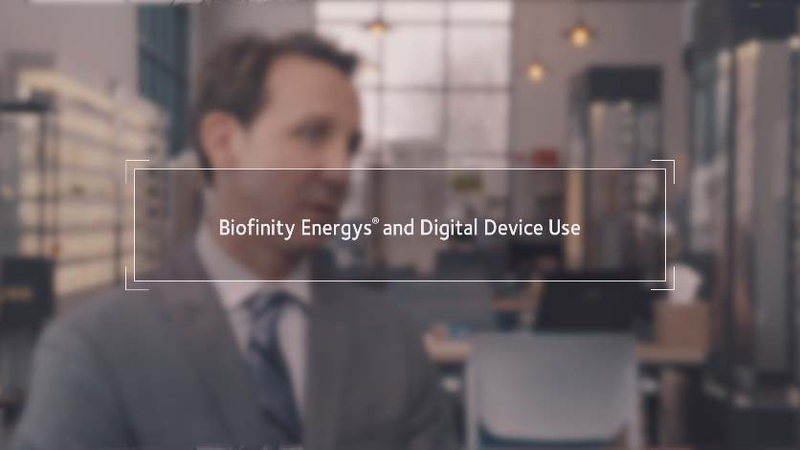 Order your own materials to promote Biofinity Energys today. Register to receive in-office patient promotional materials and receive an instant download of digital marketing assets. After one month of wear. Social Media Usage 2005 to 2015, Pew Research Center (2015). 2017 Deloitte Global Mobile Consumer Survey: The Dawn of the Next Era in Mobile. Prospective, multi-center (9 sites), subject-masked, bilateral wear, cross-over, non-dispensing study comparing the difference of the change in AMF frequency measured by the Accommodative Function Analyzer instrument (AFA). Based on a statistically significant difference of the mean change of Accommodative Microfluctuations and when compared to Biofinity sphere after reading on an iPhone for 20 minutes held at a distance of 25 cm.